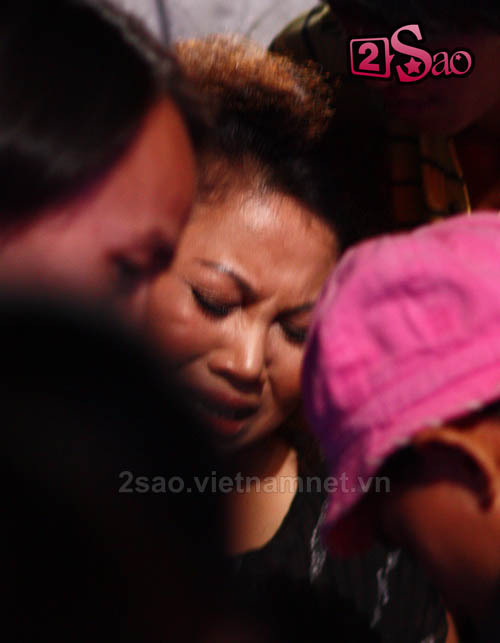 An unfortunate incident has happened to Vietnam Idol’s favorite judge during one of the show’s recent taping. Siu Black dutifully (and bravely) took on her part in the final round of Vietnam Idol, even though her tears were tears of pain. Approximately 30 minutes before cameras started rolling on Vietnam Idol’s Gala 1 stage, the film crew was first to notice the strange absence of their all-too-familiar idol judge, Siu Black. While the other judges (Quoc Trung, Nguyen Quang Dung, and Diem Quynh) were busy prepping for the show, a few audience members let out shrieks of shock at the sight of Siu Black being carried in on a stretcher by backstage and medical staff. After the ten contestants have performed, Siu Black was then carried off stage and headed to the hospital for treatment. One contestant shared that the whole group and VN Idol staff/contributors will visit sister Siu the next day. Err, I have a hard time focusing on homework with a headache, let alone a bloody aching leg. Much admiration indeed.